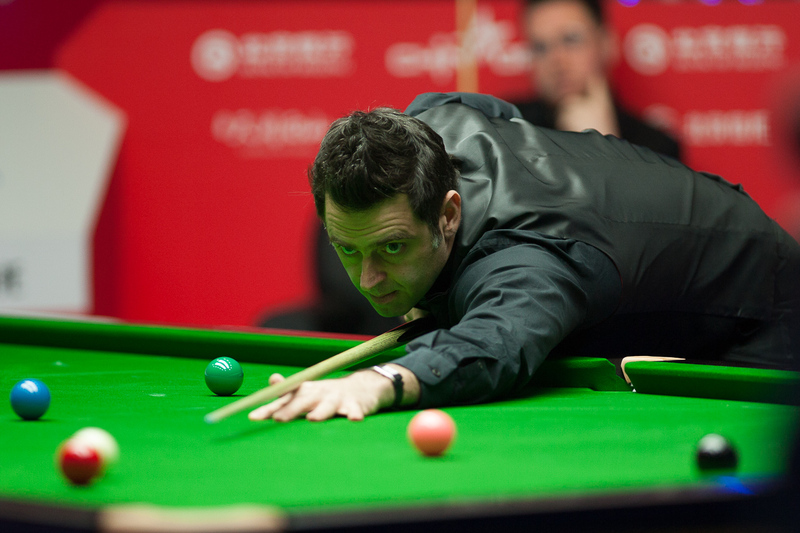 O’Sullivan is chasing his first ranking title in 13 months – though he did win the Masters in January – and he now faces Mark Joyce for a place in the last 16. China’s top player Ding Junhui also enjoyed comfortable progress as he saw off Paul Davison 5-0 in just 63 minutes. Breaks of 51, 51, 52, 55 and 138 helped Ding set up a clash with countryman Zhou Yuelong. “My form has been good since the first match and I played well again today. My opponent did not give me too much pressure and he wasn’t playing well,” said Ding, who could meet O’Sullivan in the last 16 if they both win on Wednesday. Defending champion Judd Trump continued his fine recent form as he saw off Ashley Hugill 5-1 with top runs of 108, 105, 90, 50 and 55. Ricky Walden and Stephen Maguire both kept alive their hopes of gaining a top 16 place ahead of the seeding cut off for the Betfred World Championship (for more on that race click here.) Walden beat Niu Zhuang 5-1 with a top break of 125 while Maguire saw off Fergal O’Brien 5-3 with a top break of 96.